A novelist, dramatist, screenwriter and journalist. He was born in Ireland in 1945. In his youth he travelled extensively around Europe, then for some time he lived in the United States. He was a regular contributor to The Irish Press, The New York Review of Books and The Irish Times. He had his debut in 1970 with a collection of short stories Long Lankin. 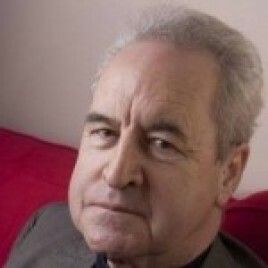 Banville’s literary output contains three trilogies, several novels, including criminal stories published under the pen name Benjamin Black and theatrical plays. Polish readers know him mostly from such titles as: The Sea, Mefisto, Eclipse, The Book of Evidence or The Untouchable. Intertextuality is a characteristic trait of Banville's work – the author creates intricate networks of literary connections, alluding to novels of outstanding European writers, and drawing from repetition of motifs constructed by himself in his earlier works. He is acclaimed by literary critics for his perfect writing technique, and by many he is considered a master stylist of English. He is a laureate of many prestigious literary awards, e.g. the Irish PEN Award, the Franz Kafka Prize and the Booker Prize (2005) for his novel The Sea.